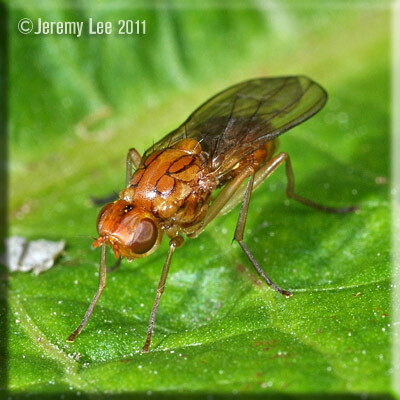 Psila fimetaria are up to 10 mm in length, and are often called Rust Flies or Carrot Flies, due to their bright orange colour. Found in various habitats, but often in areas of lush vegetation and amongst the crops that they target when ready to lay eggs. Flight period is May to August. The larvae live in the roots, bulbs and non-woody stems of plants and can be a pest. Widespread but poorly recorded across Britain.